A survey found that 70 percent of Israelis opposed halting the military operation in the Gaza Strip. A survey conducted a few hours prior to the announcement of the volatile ceasefire between Israel and Hamas found that 70 percent of Israelis opposed halting the military operation in the Gaza Strip. The respondents were further asked whether they believed the ceasefire agreement would hold, and if so, for how long? The results indicated that 64 percent of Israelis responded by saying that it would hold for only a short time; 24 percent said it would not take hold at all; 7 percent said it would last for a long time; and 5 percent responded "Don't know". The third and last question of the survey, which asked whether Israel's deterrent capability improved or deteriorated as a result of Operation Pillar of Defense, found that 58 percent of those surveyed said that it had improved; 15 percent believe it has deteriorated; 23 percent responded that there had been no change; and 4 percent said they had no opinion. A similar survey which had been reported on Israel’s Channel 10 about 24 hours after the ceasefire went into effect, found that 59 percent of the public opposed the ceasefire, while only 33 percent said they supported it. 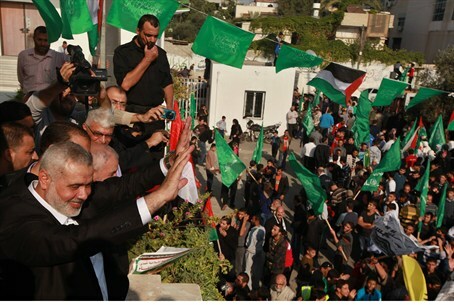 The poll, conducted by the Midgam (Sample) Project and supervised by Professor Camille Fuchs, found that 34 percent of respondents felt that Hamas had won, while 28 percent felt that Israel had emerged victorious and 26 percent said the two sides achieved equality. Hamas hailed the cease-fire, calling it “a victory” and establishing November 22 -- the day after the ceasefire had been signed -- as a “national holiday.” Gazans have not yet fully realized the massive damage to infrastructure that served terrorists and to Hamas terrorist leadership by Israel's air force, as opposed to the thousands of rockets aimed at Israel which inflicted minimal damage due to investment in shelters, protected rooms and the Iron Dome.